NorthWest Crossing is Bend's most sought-after planned neighborhood, and an ideal spot for our affordable housing project, Discovery Park Lodge. Local shops and restaurants are within walking distance, and a number of parks beautify the entire community. For the past 20 years, Bend's "west side" has served as a major activity hub providing easy access to the city's finest parks, restaurants and neighborhoods. Needless to say, as Bend experiences the intense growth of late, access to the west side communities will become more and more challenging. 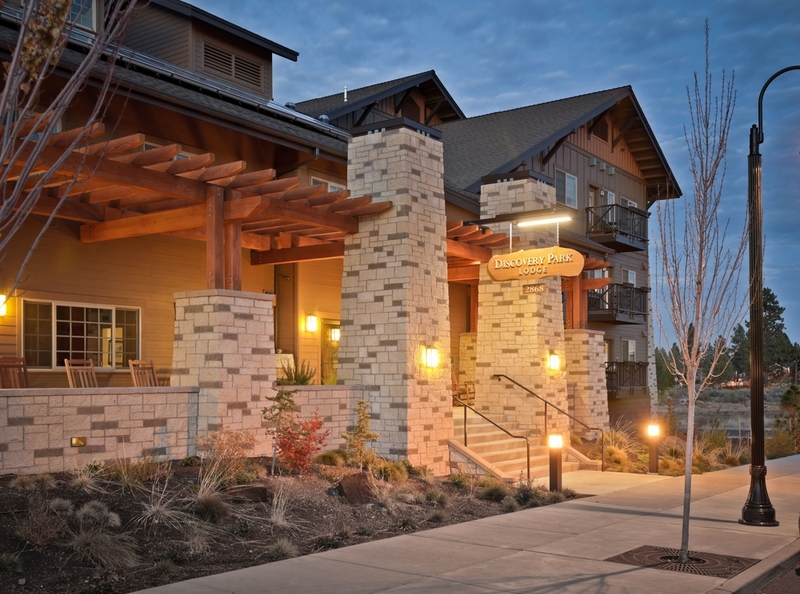 Completed in 2008, Discovery Park Lodge is the second Pacific Crest development on the west side of Bend. The lodge offers 53 independent living spaces for seniors in the highly sought-after neighborhood of NorthWest Crossing. Discovery Park Lodge and Mountain Laurel Lodge are currently the only two subsidized living projects on the west side (psssst: we're working on the third too). DPL's environmentally sustainable design and construction exceed the Portland Development Commission’s “Green” Affordable Housing Development Guidelines.